Social Media Club Phoenix members old, new, and in-between showed up to our first mixer event of the year at the Cobra Arcade Bar and didn't disappoint. Located in the heart of Downtown Phoenix adjacent to the FilmBar, this new happy hour destination spot is a blast from the past with a mix of hot new freshness sprinkled throughout! Crazy delicious video-game themed beverages (I had the RyuKen and was NOT sorry) had us all talking, and our SMC VP QtheBrand opted to do her Blab show live from the event. But the BEST part of the night (aside from all the awesome networking and new friendships of course) was definitely the many ARCADE GAMES that were available to play for FREE. You heard me...FREE! 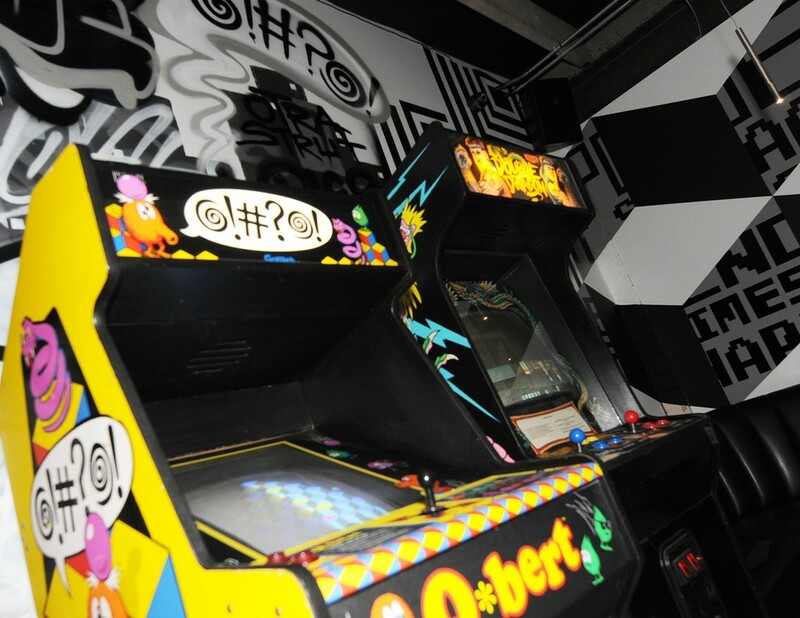 Unlimited Galaga, Donkey Kong, NBA Jam...you name it and there's a good chance they have it. We can't guarantee that they'll always be free but at least for the night we were there they were real, and they were spectacular. Check out some more pics below from the evening, and keep an eye out here OR on Twitter (@SMCPhoenix) or our Facebook Page (facebook.com/SMCphoenix), and if you're local and want to contribute then definitely hop in our Facebook group here...we love new members!